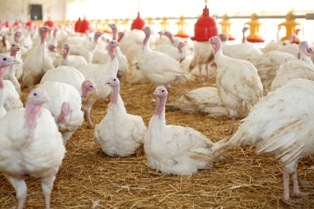 In Germany the poultry industry currently consists of around 34 million laying hens, 60 million broilers and 11 million turkeys for meat production. 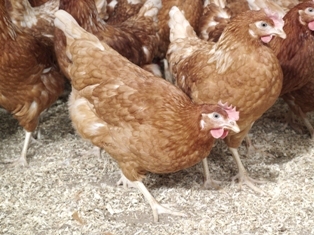 Only crossbreds are of relevance for commercial egg and poultry meat production. Parent stock are kept and improved by only a few specialised breeding enterprises worldwide. The fact that hatching eggs and day old chicks can easily be sent by air freight made world wide distribution of poultry breeding stock possible. Layers are delivered from Germany to all over the world since more than 50 years. The variability of the products depends on the changing requirements of the international market and the different production systems. In this context laying performance, good shell stability as well as excellent health is of great importance. Meanwhile laying hens made in Germany are established worldwide. In poultry meat production partners of breeding enterprises for broilers and turkeys operating worldwide are located in Germany. On several farms parent flocks are kept for reproduction. That is why the export of hatching eggs and day old chicks plays a very important role - for meanwhile more than 50 years. If you are interested to get in contact with German exporters of poultry, please don´t hesitate to contact the German Poultry Industry Federation.